Audio streaming platform Mixcloud has launched a “fan-to-creator” subscription service called Mixcloud Select. The service lets listeners subscribe to a creator’s channel to directly support them and the music played in their shows. It also enables creators to earn revenue for the first time on the platform. With a subscription, listeners get an enhanced listening experience that includes offline listening, viewable tracklists, and no ads. Creators can set their own price, starting at $2.99 per month. They receive a share of profits from their subscriptions, while the artists, labels, and publishers get royalty revenue. The first wave of Mixcloud Select creators includes DJs such as Afrojack and Oliver Heldens, and labels like Big Beat and Defected. For more information on Mixcloud Select, click here. Music streaming service Mixcloud has signed a licensing agreement with Warner Music Group, its first deal with a major record company. Founded in 2008, Mixcloud offers around 12 million radio shows, DJ sets, and podcasts, which are produced by over 1 million creators. However, the platform uses a statutory radio license, which limits the content that creators can use. Some creators have experienced copyright takedowns in recent years, similar to that of SoundCloud and other platforms. Billboard reports that Mixcloud is in discussions with Sony Music, Universal Music Group, and independent rights organization Merlin about striking similar license deals to that of Warner. Updated on Oct. 10, 2017. SoundCloud has been an unreliable service for hosting DJ mixes ever since record labels started cracking down on the company last year. Thankfully, those who are tired of takedowns can now import their existing mixes directly into Mixcloud with a new tool. The company’s SoundCloud importer was previously only available to Mixcloud content partners, but the company has now made it available to the public as a beta. The tool is only available for long-form content such as mixes, radio shows and podcasts, as Mixcloud doesn’t allow single track or album uploads. Mixcloud also differs from SoundCloud in that it’s a licensed Internet radio service and has agreements with various collecting societies. This means that while Mixcloud doesn’t allow downloading and rewinding within a mix, their service is completely legal, and DJs don’t have to worry about takedowns. The company also offers premium accounts with more features, and DJcity readers can get three months of free service with the promo code: DJCITYFREETRIAL (monthly plan only). For a long time, SoundCloud was the number one choice for many DJs looking to host their mixes online. However, the company has stepped up copyright enforcement over the last year, and many DJs have had their mixes taken down, and even their accounts removed. As DJs continue looking for alternatives, DJWORX has compared SoundCloud with its leading alternatives, including MixCloud, Mixcrate, YouTube, PodOmatic, and others. Their extensive breakdown looks at various aspects of each service, including audio quality, interface and cost. Check out their article here. Nearly four hours of content gets uploaded to Mixcloud every minute, the company says. The statistic was revealed today in a blog post celebrating its fifth anniversary. Mixcloud also revealed that over six million shows have been uploaded by 650,000 DJs, radio presenters and curators since its launch. A record 200,000 were uploaded in the last month alone, with each averaging 45 minutes. Up until recently, SoundCloud was the preferred platform for DJs to upload mixes to. However, the company’s tightening of copyright enforcement in recent months has resulted in many DJs moving to similar services such as Mixcloud, iTunes Podcasts and PodOmatic. In August, Mixcloud introduced Pro accounts that provide content creators with advanced analytics, scheduled uploads, profile customization, and more. DJcity readers can get three months of free service with the promo code: DJCITYFREETRIAL (monthly plan only). 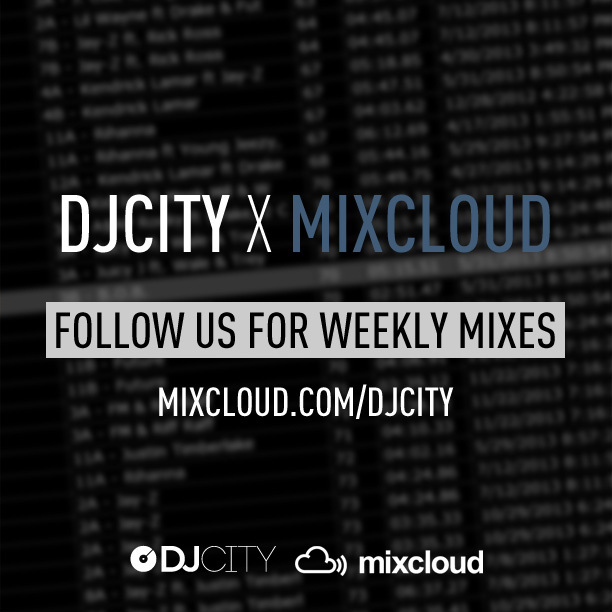 Be sure to follow DJcity on Mixcloud for weekly mixes every Tuesday and Friday. Internet radio start-up Mixcloud announced subscription accounts for both listeners and uploaders today. A free version of the service will remain but those that are serious about improving their experience now have the option to upgrade. The “Pro” account for uploaders costs $15/month or $135/year and gives access to an analytics dashboard showing their audience size, source, location and engagement, along with advanced publishing tools that include comment control and scheduled uploads. Specifically, the analytics dashboard includes a graph that shows where listeners are dropping off — a useful feature for DJs that are curious to know how their mixes perform on a track-by-track basis. Listeners can also upgrade to a “Premium” account which provides an “uncluttered ad-free listening experience” for $6.99/month or $69.99/year. In addition to subscription accounts, the company also added a much-needed “repost” feature which Mixcloud co-founder and CTO Mat Clayton said was “inspired by the concept of ‘Retweets’ and ‘Reblogs’ on Twitter and Tumblr. Mixcloud has seen a surge of new users in recents months as unlicensed platforms such as SoundCloud ramp up their copyright takedowns. Mixcloud is unique in its nature as a licensed platform that pays royalties for the tracks streamed within each radio show or DJ mix. Mixcloud currently has 10 million monthly listeners and reported a 60% increase in total listening time since their redesign in January. DJcity is happy to announce that we’ve partnered with Mixcloud and are now using them as our primary streaming service. As a result, we’ve stopped uploading our weekly podcasts to SoundCloud so please follow our Mixcloud account to receive the weekly DJcity Podcast and Friday Fix. Note: our weekly podcasts will continue to be available on iTunes.